First let me tell you a little bit about the company. More than a generation ago, a young mother and herbalist founded Motherlove to empower women with the wisdom and healing strength of nature. 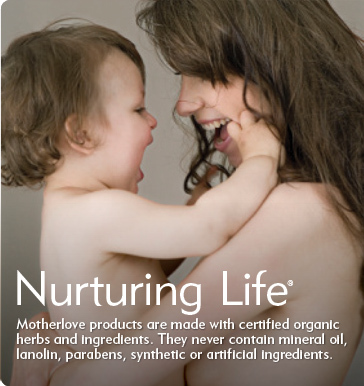 Today, our commitment spreads around the world, helping women to discover the bond between motherhood and mother earth. Experience this wondrous connection yourself through our herbal care products for Pregnancy, Birth, Breastfeeding, and babies, formulated to soothe and nurture both body and soul. Scar-healing shea butter is added to the same certified organic herbs and oil base as Motherlove's pregnant belly oil to create this creamy salve that keeps skin soft and elastic. This salve effectively prevents stretch marks and relieves the itch of stretching skin. Wonderful for regular moisturizing in the mornings, evenings or anytime! Motherlove’s pregnant belly salve has a zero rating (zero toxins) on EWG’s skin deep database. It smells great and I am always up for any miracle. 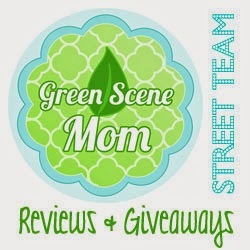 Motherlove's sitz bath combination in a convenient spray bottle! An essential item to have on hand after labor and child birth, this spray soothes sore perineal muscles, reduces swelling, slows bleeding, and helps ease the discomfort of hemorrhoids. Perfect for use with pads and when you don't have time for a longer sitz bath soak. Made with 100% certified organic ingredients. I wish I would of had this with Brendan. I had to use all kids of items that were made with alcohol and they BURNED. I will be using this for our next baby for sure. This all natural versatile salve quickly and effectively takes the itch out of insect bites, bee stings and poison ivy. It soothes and eases the discomforts of rashes, chapped and irritated skin. A must for every home! 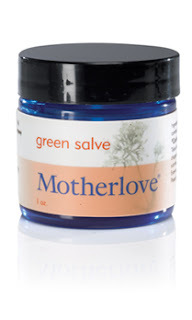 Motherlove’s green salve has a zero rating (zero toxins) on EWG’s skin deep database and is made with 100% certified organic ingredients. I got to use this product right away as soon as Brendan came home from school he complained of bug bites so i put it right on. He didn't complain about them again. Now when he gets a bite he asks for it. Danny also likes it for his dry hands. He is a painter so he is always working with and washing his hands. I received these items for review purposes. My opinions are honest and I was not aid for this review.